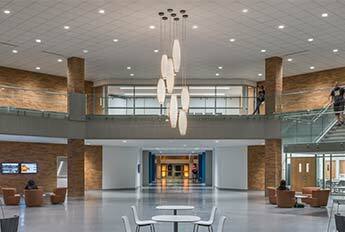 Commissioned to add interest to existing lighting to the Shawnee State University's ballroom. 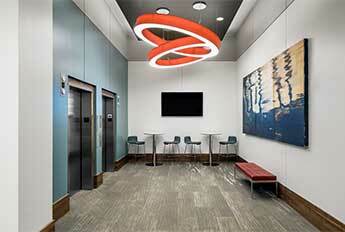 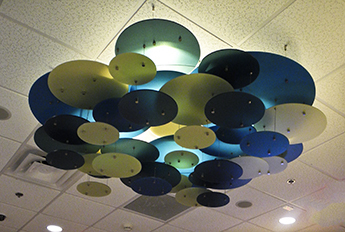 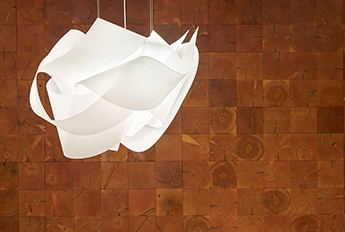 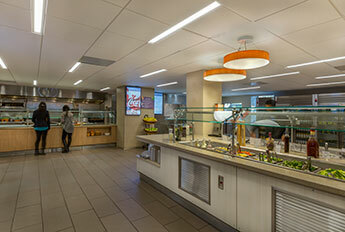 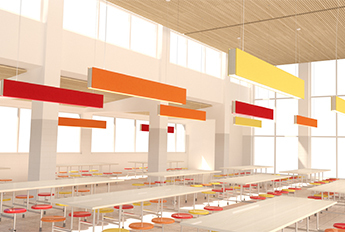 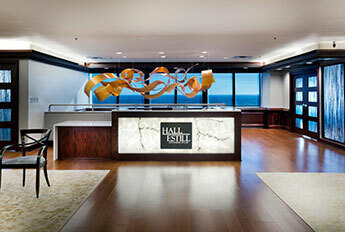 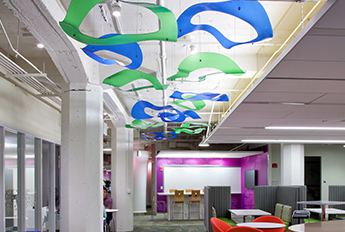 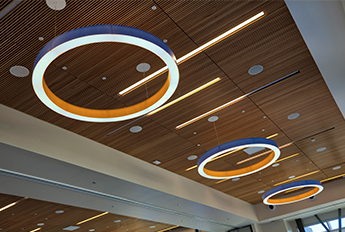 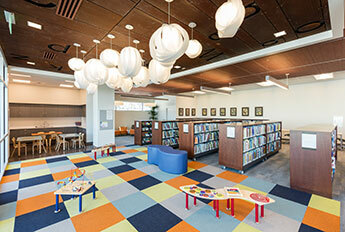 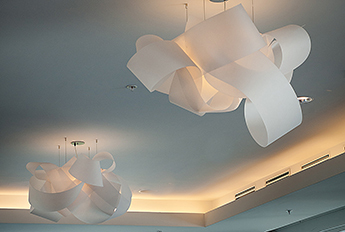 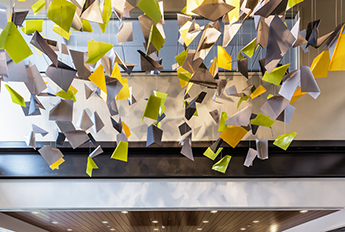 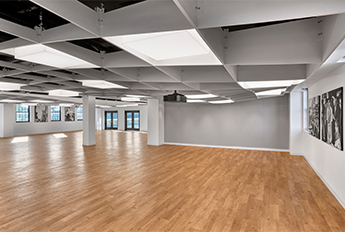 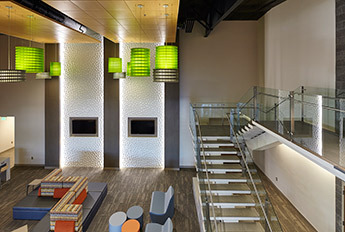 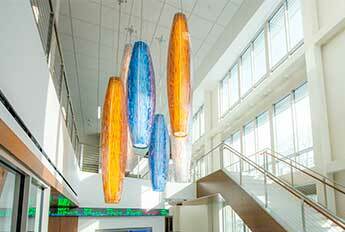 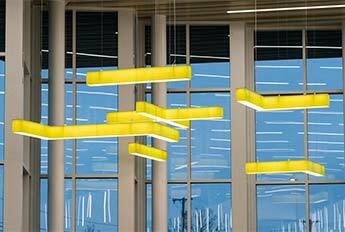 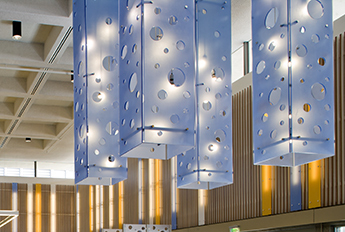 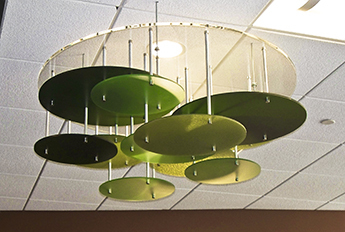 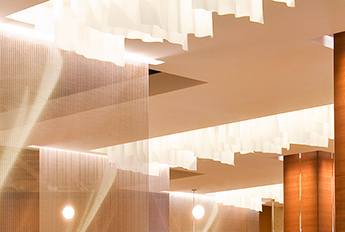 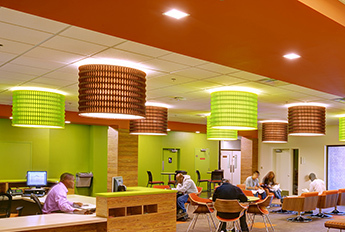 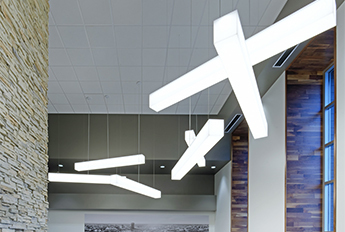 These floating panels lend warm texture and contemporary flair to a university ballroom. 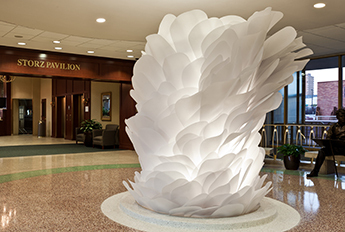 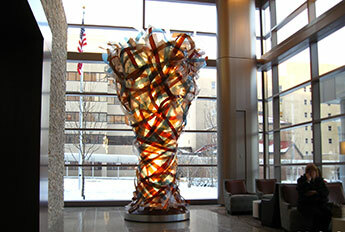 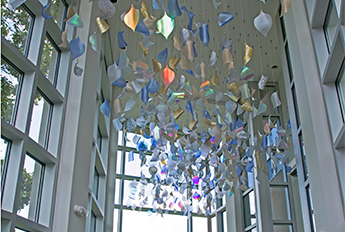 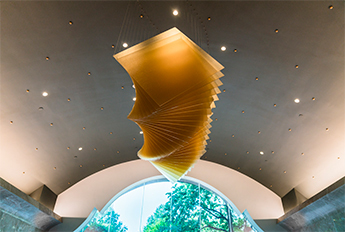 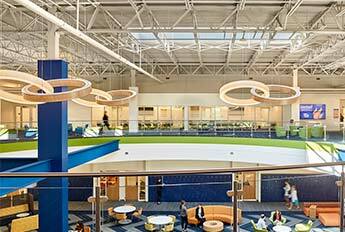 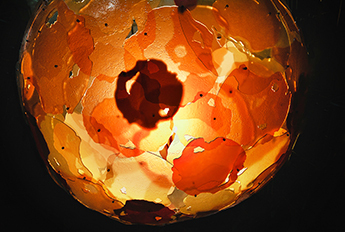 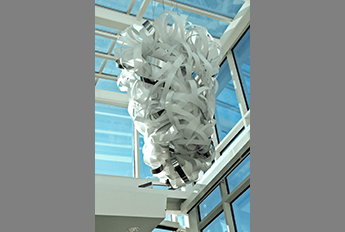 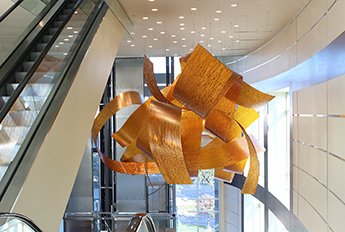 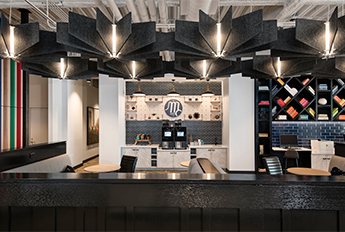 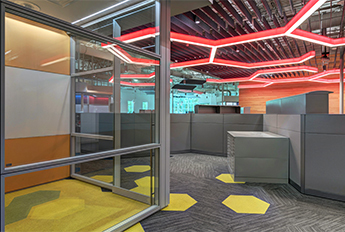 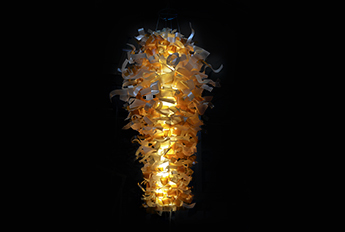 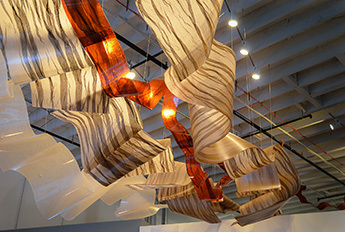 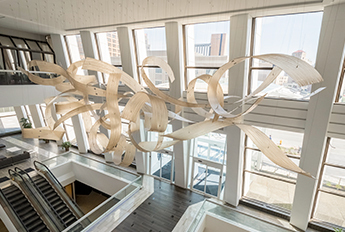 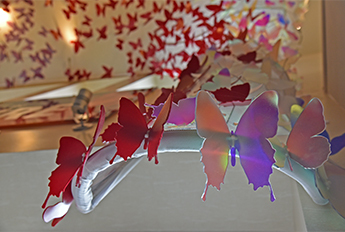 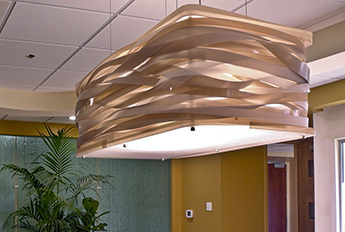 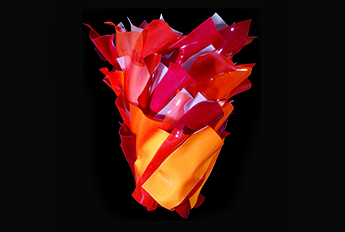 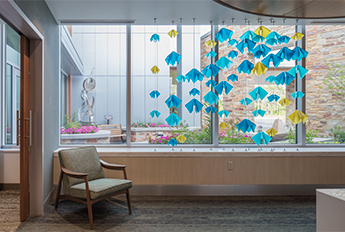 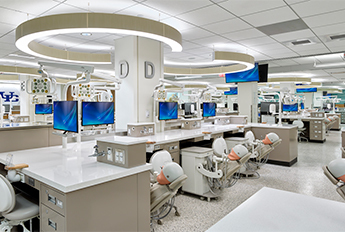 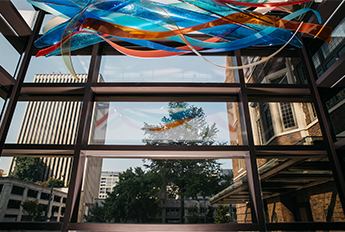 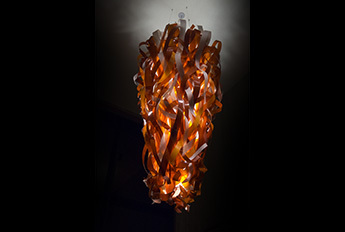 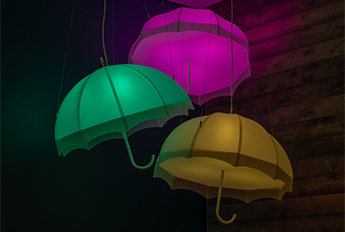 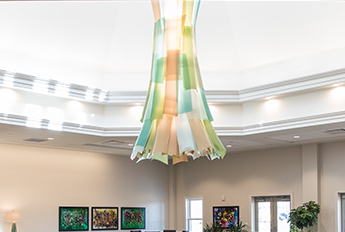 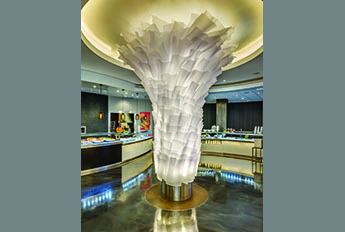 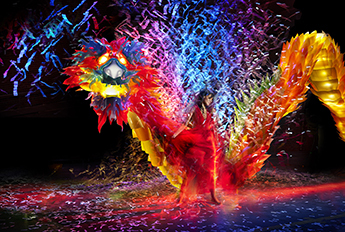 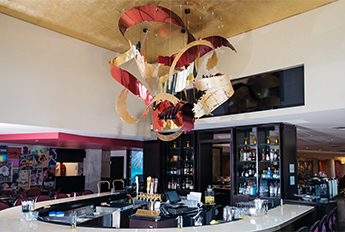 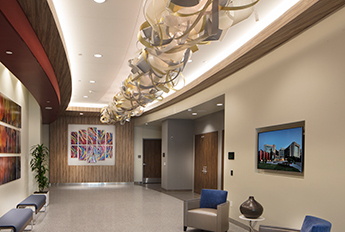 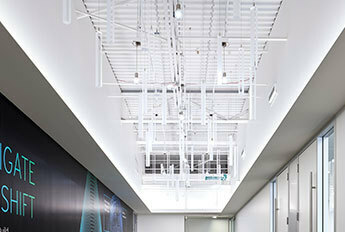 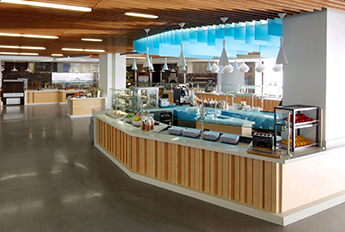 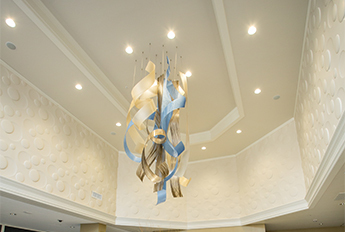 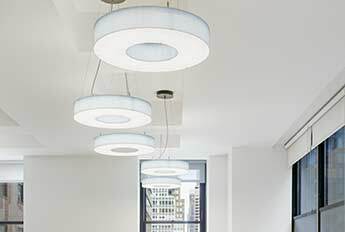 LightArt translated the designer's vision of a cantilevered, cascading light fixture into a cost-effective solution streamlined for efficient installation.